When an idea makes good common sense and is the right thing to do, most doers will take action. One hot summer day in 2008, an idea was conceived somewhat out of desperation, but mostly, because, it just “made sense”. 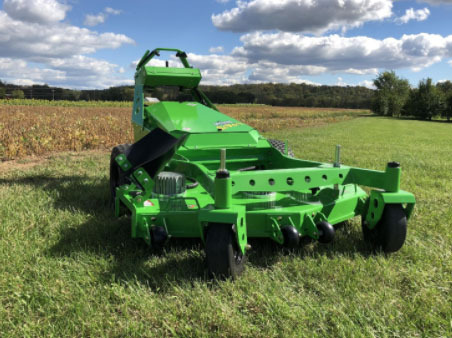 After dealing with countless trips to gas stations, typical headaches from exhaust fumes, piercing engine noise, and continuous repairs to hydrostatic drives, belts and engine issues, we decided there must be a better way to build a zero turn mower. When some basic research was done, it was quickly discovered that outdoor power equipment, especially mowers, produced disproportionally high harmful emissions and operated extremely inefficiently. 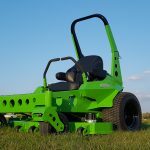 We decided to put our creative side to work and build an electric mower that would be much quieter, produce zero emissions, have minimal routine maintenance, and pay for itself in fuel savings. With design techniques borrowed from the aerospace industry, the CXR is a robust workhorse for commercial applications available in both a 52 inch or 60 inch deck. The NEMISIS is a life-style blocker designed for large residential properties or less-intensive commercial use. 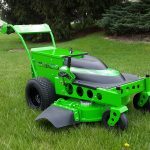 At only 272 kg, the mower is light and quick thanks to the extensive use of light-weight aluminium, and high-strength steel. 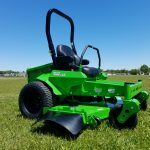 The WBX-33 is a self-drive mower designed to mow larger lawns in high-profile areas that require a really quiet machine. 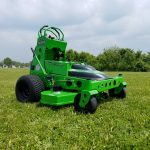 This mower operates at 73db – what was that?